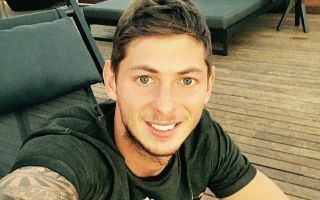 Dorset Police have officially confirmed on their website that they have found the body of former Nantes and Cardiff City striker Emiliano Sala. The Argentine disappeared in January after completing a transfer from the Ligue 1 club to the Welsh Premier League side, and it has now finally been officially announced that he was killed on the flight whose wreckage was recently found in the Channel. Dorset Police have released a statement on the tragedy this evening, saying they have informed the families of those involved, with pilot David Ibbotson also tragically losing his life in the accident. At the moment, it seems not much more is known about what went wrong on the flight, but Sky Sports and others have previously picked up an audio message from the player on WhatsApp admitting to his family that he was scared about something happening to the plane, clearly sensing something was wrong. CaughtOffside sends thoughts and prayers to the families of Sala and Ibbotson, and at Nantes and Cardiff after this tremendously sad story.